While “Strikeforce: Rousey vs. Kaufman” provided plenty of thrilling action during the main card, Saturday’s most exciting scrap took place during the prelims. 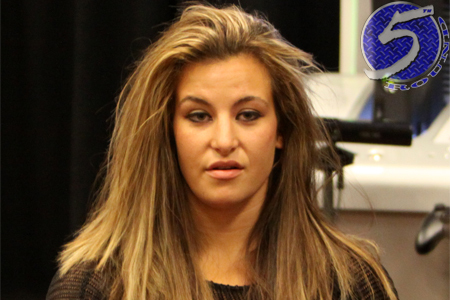 Former bantamweight champ Miesha Tate (Pictured) and Julie Kedzie would have pocketed a ‘Fight of the Night’ bonus check if UFC president Dana White would allow women into his Octagon. Nonetheless, the ladies put on quite the show in their back-and-forth battle. After getting rocked early, Tate rallied to pull out an armbar submission victory in the 3rdRound. “Cupcake” not only left Southern Cali with the win, but she was also donning a new golf ball-sized bump on her left cheek. Valley View Casino Center in San Diego, California hosted Saturday’s bash.